Bally's PRO³ Refrigeration Systems are fully piped, wired, and ready to drop into a ceiling panel's factory-cut opening. No refrigeration technicians are required to install the refrigeration unit. Bally PRO³ Refrigeration Systems are available in medium temperature ½ to 1½ HP and low temperature 1 to 2½ HP. 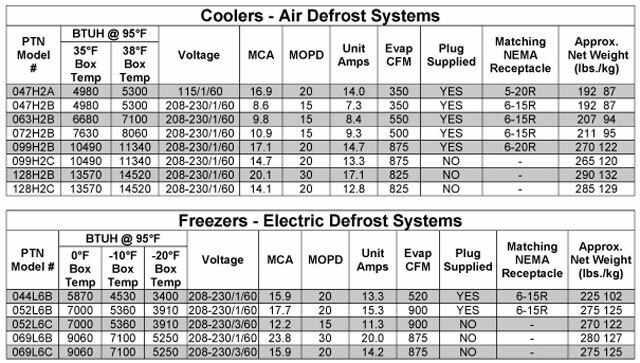 Units rated at 95°F ambient: coolers rated at 38°F, freezers rated at 0°F. The PRO³ is a registered trademark of Bohn.